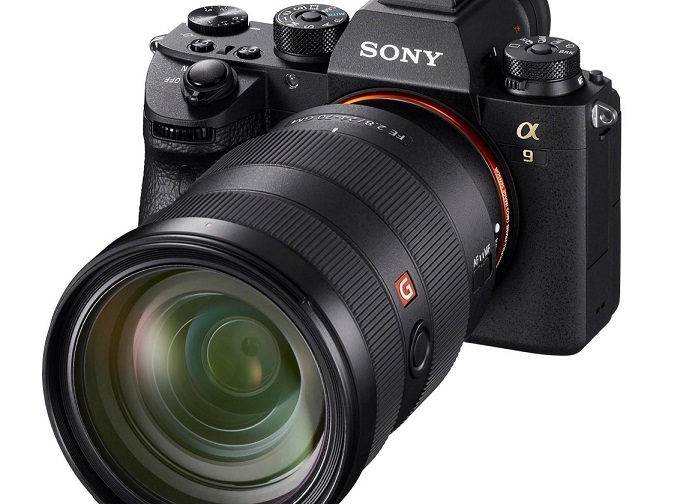 Best Lenses for Sony a9 full frame E-mount mirrorless camera. Here is the full list of top recommended Sony a9 lenses. Designed for professional wedding, sports and wildlife photographers and photojournalists, the high end Sony a9 mirrorless camera ($4,498 at Amazon, B&H, Adorama) features the world’s first 24.2MP Full-Frame Stacked CMOS Sensor, blackout-free continuous shooting at up to 20fps and 693 focal point phase detection AF points. In addition, the Sony a9 is capable recording UHD 4K video internally, and shooting with an expanded sensitivity range to ISO 204,800. A high-speed, vibration-free, silent Anti-Distortion shutter vastly extends the range of shooting situations while a mechanical system can only aim for lower vibration and quieter shutter release sound. Moreover, Sony a9 provides continuous tracking of moving subjects for foolproof AF/AE while traditional SLRs can only challenge such AF/AE performance improvements. Sony FE 24-240mm f/3.5-6.3 OSS ($998): A perfect match and convinent choice for Sony a9. Able to cover everything from wide-angle to telephoto in a single compact form factor, this Sony FE 24-240mm f/3.5-6.3 OSS lens uses a variable aperture of f/3.5-6.3 to keep size and weight to a minimum. The ability to switch from wide angle to telephoto without having to change lenses also means that more of those fleeting moments that make great shots will be captured. Also, it has a linear autofocus motor and internal focus design that provides fast, accurate, and reliable focusing. Ideal for landscape, snapshots, portraits and travel where reducing luggage is a priority. And it’s an okay solution for those on a budget. The Sony FE 100-400mm f/4.5-5.6 GM OSS lens is currently the best native Super Telephoto Zoom Lenses for Wildlife and Sports Photography, and it is able to work with the Sony FE 1.4x & FE 2.0x Teleconverters. Rokinon AF 14mm f/2.8 FE Lens ($849): Great quality and a much better price than the native lenses. Blending an ultra-wide angle of view with a relatively fast f/2.8 aperture, this 14mm lens makes a great option for Sony shooters looking to get a unique perspective that is well suited to architecture, landscapes, and more. It also incorporates three aspherical and two extra-low dispersion elements to reduce aberrations for clean, sharp images. Super wide! Rokinon 100mm f/2.8 Macro ($549): Home in on close-up subjects with the Sony E mount Rokinon 100mm f/2.8 Macro, which affords life-size 1:1 magnification along with a minimum focusing distance of 1′. A long focal length lens with close focusing abilities and a high magnification ratio, this manual focus macro lens is ideal for making close-up, detailed images of nearby subjects. Sony FE 50mm f/2.8 Macro Lens ($498): Ideal for everyday photography, this 50mm macro lens features an F2.8 maximum aperture that offers outstanding image quality and bokeh, while its 1:1 macro capability allows the photographer to get sharp close-up shots of their subject. The lens offers a 6.3 inch minimum focusing distance and a wider field of view for capturing more background, compared to longer focal-length macro lenses. Weighing in at a mere 8.4 oz, it’s extremely lightweight and portable, making it easy to carry around.